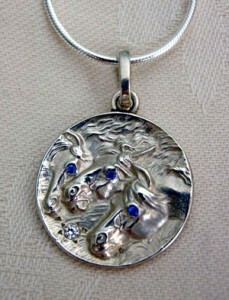 Horse Jewelry Reflects Your Passion and Spirit! 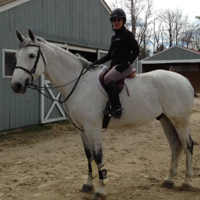 You are here: Home / Equestrian / Arab / Horse Jewelry Reflects Your Passion and Spirit! I was reminded of this proverb, first delivered to us from the sands of Arabia so very long ago, on a ride this weekend. There is no sensation quite equal to the thrill of riding: that effortless partnership covering miles, civilization left far behind at the trail head, the timeless rhythm of hooves, new wonders discovered with every hour of exploration. We’d gone a long way on this ride, through some wild country and then flatter, more open fields, where our only companion was the sky, the sun our sole witness. And go we did. I gave Tabbi her head and held on — better riders than me would have plenty to say about my form, I’m sure, and we wouldn’t have won any points for style from any judge, anywhere — but my friends, believe me when I say we flew through that field. Tabbi’s hooves barely brushed the ground. The wind rushed by. It was joy, pure and simple, her exhilaration taking me along for the ride of a life time. That’s where the love of horses is born, I think — in those few precious moments when we too know what the comet must feel as it hurtles through space. Or perhaps it comes after that, in the barn, after a rubdown, carrots crunching and brown eyes shining, Tabbi assuring me that she’d had a great time too. I can’t look at this sterling silver necklace without remembering that ride — and I think that’s the point of horse jewelry. It serves as a tangible reminder of those magical moments. Look at the dynamic movement in the manes of these three horses — it’s the same joyous tangle I saw in Tabbi’s mane — that you’ve seen during these grand gallops. A glimpse of our horse jewelry can connect us immediately with those times when we have no office to worry about, no kids to supervise, no relationship angst to angst about. There’s nothing but joy. Nothing but companionship. Nothing but the sure knowledge that these things that give us so much happiness bring so much to the horses we share our lives with. That’s what inspires my horse jewelry collection, and I hope it inspires yours as well!